The Millard Public Schools Foundation answered the call to support efforts by Millard Schools to bring technology to every student in the district. With over 3 million in funding over the last three years Millard Public Schools has successfully implemented a technology program at every school level. Specifically it means a lap top computer for all high school and middle school students. It means an iPad for all 4th and 5th grade students and classroom sets of iPads for grades kindergarten through 3rd grade. The best news is that our teachers and students are responding to the technology. Teachers are developing lessons designed to take full advantage of the devices and students are both interested and motivated by the use of this technology. 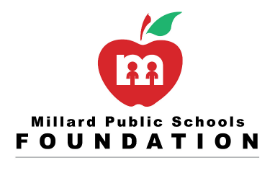 The Millard Public Schools Foundation is proud to support the World-Class Education in Millard Public Schools. Kids Network is seeking qualified individuals to work at one of our 25 before-and-after school locations! We are specifically seeking to fill morning positions at several sites. The shifts are Monday-Friday 6:30am-8:30am. Congratulations to Stacy Bradley! Stacy participated in a recent Millard Nation giveaway & is the recipient of two tickets to see Adam Devine here in Omaha. Adam is a Millard South graduate from the class of 2002 & is currently living his dream in Hollywood. He is best known as the star and co-creator of Comedy Central’s hit show WORKAHOLICS, for which he was named one of THR’s Top 50 Showrunners and ran for 7 seasons. He was also seen recurring as Manny’s ‘manny’ on the award-winning hit ABC series MODERN FAMILY. Click here to see if Adam's Weird Life Tour is coming to a city near you.